Located in Southampton, New York, the SouthamptonYacht Club is home to a variety of members with one thing in common - a love of boats. Both sailboats and motorboats find a home at our docks. The novice and experiences sailors swap stories after a day out on the water. 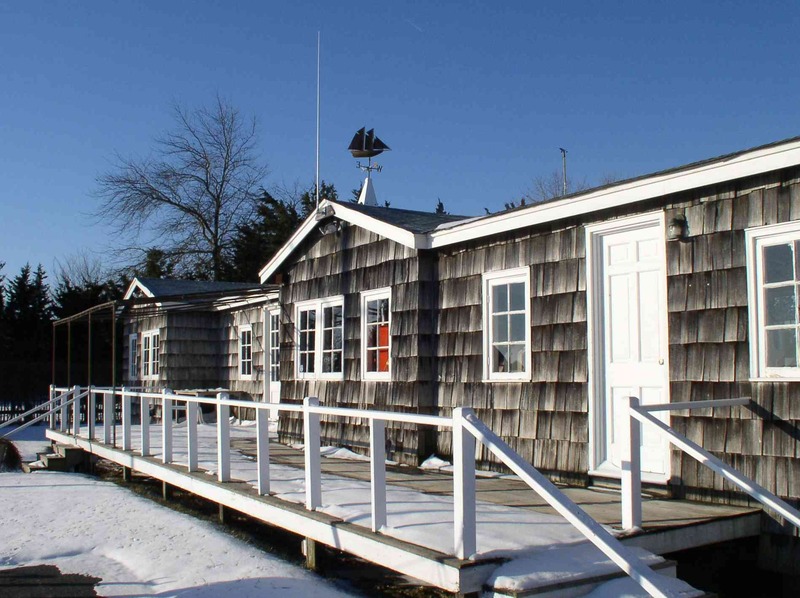 Situated on Shinnecock Bay, the Southampton Yacht Club is the perfect place for anyone with a love of the water. Apparently there was storm damage incurred during the construction of this structure, as shown by the September 1938 photo of the original clubhouse. In 2007, the SYC Clubhouse was rebuilt. In 2014, a large deck addition was added. Jack Hoban, Lee Budd and C. Coe showing off their Early Season hardware in "Fly II". They tied with "Louise", not shown. Junior sailing was active- this is B. McDonnell showing off in 1951! Southampton Yacht Club was established in 1937, and included a group of 44 adults and 33 children at the first roll call. Membership dues collected that year (which along with a loan from unspecified sources paid for the construction of the first club-house) amounted to about $30 annually per person.